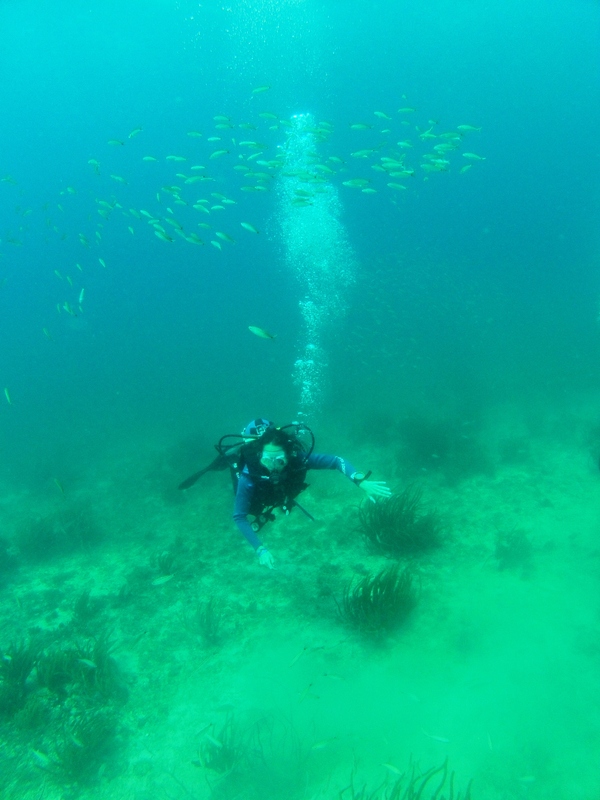 October 18, 2013 January 21, 2014 daniahabib10 Comments on Scuba Diving in Margarita! I did some research before heading out to Margarita about scuba diving there. There wasn’t that much information but I was able to find the worthwhile sites I wanted to visit if location permitted. I also emailed the two school recommended by PADI, but only got a response from one, which is the operator I decided to go with. Now, in this blog post, I do not want to focus on the disaster of services we got, because in the end solutions were found and it was OK, but overall it was a very big disappointment. I guess because I had a cold it worked out for the best in a way. October is low season in Margarita, so I would have thought that finding staff and boats to go diving would not be so problematic. Anyway, I ended up going diving with my partner while he was doing his OPEN water certification. 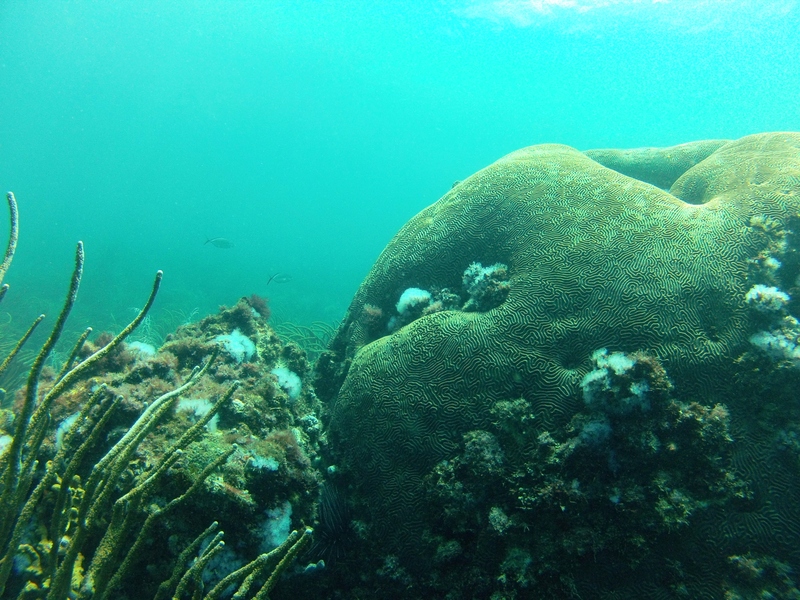 The site is called Farallón and is recommended for beginners, as maximum depth is 10m. There are not a ton of coral reefs but still lots of fish, spider crabs and we saw two big french angels. Also, there is a submerged Virgen del Carmen that you can see underwater. She is meant to protect the coastal waters of Venezuela. There are actually two, one has been there since the 1970s, but coral and plants have taken over her and you cannot even tell the statue is there. The other one, is much taller and you can clearly see her underwater, like in the picture here. Next time, however, I definitely want to go back to a site called Los Roques (a small little island near Margarita where you take a flight to get to it, which is meant to be THE BEST for diving in Margarita). Thanks 🙂 it is definitely awesome to see it underwater! If you do not dive, it’s a wonderful experience! I’m a diver 🙂 haven’t gone in a year though but hopefully I can hit the water sometime next year when I go to Brazil.. although I’m very keen to dive Borneo. It’s an amazing experience. All you gotta do is “just keep swimming” and breathing ahaha.